Eric Stormbringer covers Death's Empower spell, and it's often overlooked utility in PvP today. 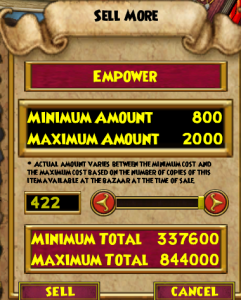 Eric Stormbringer sheds some light on which jewels will be the major players in max level 1v1 in this max level 1v1 Jewel priority guide. Find out which square, circle, triangle and tear-shaped jewels are the best for PvP! There's no one with a better name than Eric Stormbringer to bring you an Advanced Exalted Storm 1v1 Guide. Eric asks how to set up the kill shot under threat of a possible Mana Burn. Explain your choice in the comments, and look forward to Eric's answer later today. Edit: Eric's Answer! Eric Stormbringer shares his idea for upgrading minions and allowing them to be relevant at the higher PvP levels. 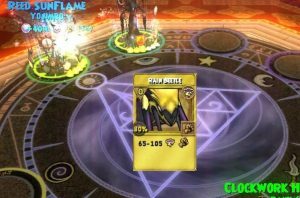 Eric Stormbringer explores the utility of the Rain Beetle mutate and how Storm wizards can use it to their advantage in Wizard101 PvP. Learn more about the zero pip Storm spell and its uses! Maybe it'll find its place into your deck as well! 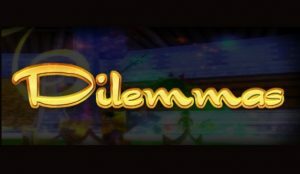 Eric Stormbringer digs into the dark, gritty history of Darkmoor, finding possible connections between the Wizard101's tortured Spirit of Darkmoor and Pirate101's mysterious Witchdoctor trainer, Vadima.